March is four weeks of cray when it comes to the stars. 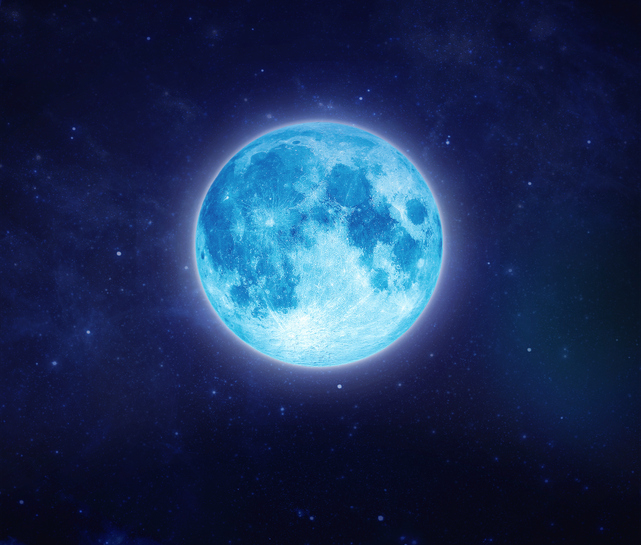 We’re not only dealing with Mercury Retrograde, but this week we also have our second full moon of the month (and the second blue moon of the year), the Blue Sap Moon. So what does this mean for your zodiac sign? First, let’s get a refresher on the Blue Sap Moon. Whereas the first blue moon of March — also known as the Worm Moon — appeared in Virgo, this moon on the 31st is in Libra. These are two very different signs with very different energies. Virgo is more detail-oriented and introverted, while Libra is more extroverted and concerned with community and aesthetics. Buuuuut this moon is also happening smack dab in the middle of Mercury Retrograde, which also means the signs will be dealing with fears, including fearing how we present ourselves to the world and how others perceive us. However, the moon affects each zodiac sign differently. Here’s what this powerful blue moon has in store for your sign. The Libra energy of the Blue Sap Moon is asking you to be more of a team player, Aries. Though you might initially groan at the thought, if you remain open and flexible, you could end up learning a lot about yourself and those around you. Bear and grin it, babe. You’ll encounter less resistance today if you risk leaving your comfort zone, Taurus. Even the slightest change in your routine will bring about more synchronicity (and even a new love interest) under this full moon. While you’re at it, treat yourself to a pedi. You need a little luxury in your life now. You’re usually in a sociable mood when Libra is concerned, but this is Mercury Retrograde, which means you’re not feeling entirely like yourself, Gemini. Best to recharge your active batteries with takeout and Netflix, and leave the mingling for others. Full moons already make you emosh, but this one is especially emotional for you, Cancer. If your feelings are overwhelming you, this is always a good time to serve others. Volunteer at a local soup kitchen or animal shelter. You’ll feel tons better. If you’ve been feeling a little down lately, Leo, this is the perfect day to have yourself a makeover. Plan a DIY spa day at home or treat yourself to a new haircut or blowout. A little self-care goes a long way and will have you feeling yourself in no time. You’re feeling a lot lately, Virgo, which is very different for you. While your go-to is to analyze your feelings, you might just want to FEEL your feelings instead today. Don’t judge them or pull them apart — just let them BE. It’ll feel awkward, but it’s also hella cleansing. This is YOUR time to shine bright like a diamond, Libra. Whether you’re at a party or presenting a project, you’re definitely vibing with people. Make the most out of this moment — ask for contact numbers and freely give out yours. You never know where it will lead. You might feel like you’ve gone about twenty steps back today, Scorpio. Instead of judging yourself, try to see this delay as an opportunity to get things right. Delays are often just the Universe’s way of timing things *better* for you. Take a deep breath and let it floooow. You’ll be in the mood for fun, Sag, but don’t be surprised if your squad isn’t. Don’t let their bad moods get you down though! Focus on what you want to do even if that means going solo to a concert or the latest movie. Your flirty nature might even attract a new crush. You’re taking yourself way too seriously lately, Cappy. It’s time for you to lighten up and let loose. Say yes to that invitation, even if you really want to stay in. Meeting new people and laughing is exactly what you need right now. You could end up being the life of the party. Yes, you. You’ve been mad at the world, Aquarius, and though you have every right to be (I mean, just read the news), it would also do you some good to see what’s BEAUTIFUL about our world. Maybe that means volunteering somewhere or visiting an elderly relative. Let the love in today! You’re not feeling like yourself, Pisces, and that’s going to be evident through every encounter and experience you have today. Do what you need to get through the day and then get home and DO YOU. Write in your journal, read, take a bubble bath. Recharge and reset. You’ll be better tomorrow. We’ll be feelings tons of feelings on this Blue Moon, but don’t let your fears and anxieties get the best of you. Take whatever action you need to in order to feel GOOD. Work through those fears and then release them, babes. It’s gonna be all right.